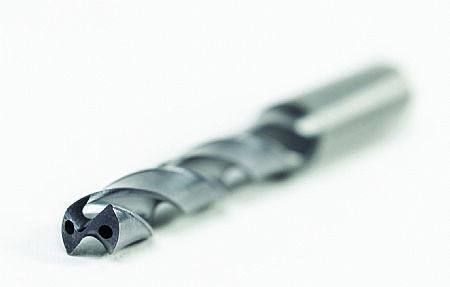 The new Widia line of drilling products is redefining the hole making process when it comes to machining stainless steel and duplex. The new Widia Top Drill-S is now available in the UK from Industrial Tooling Corporation (ITC) for manufacturers striving for improved productivity, performance and tool life longevity. Introducing the new Top Drill-S (TDS) series, ITC now gives end users pinpoint precision centring ability and an increased wear resistance and tool life when conducting heat-generating machining applications on tough materials. The inventive new geometry and gash design improves chip evacuation and delivers a smooth chip transition from the cutting edge to the flutes. This reduces cutting forces and the subsequent high temperatures, something that is complemented by the new WM15PD high-aluminium coating and polished flutes. The multi-layered AlTiN based coating gives the TDS a high hardness level at high temperatures; a feature that supports high-speed drilling and MQL applications. The through coolant TDS drill has a point that consists of a patented design that reduces cutting forces whilst demonstrating uncompromising centring accuracy. This precision is supported by a 2-margin land that retains cutting stability and reduces friction whilst the large chip-flute cross section and small core diameter supports the fast removal of chips, especially when drilling deep holes in challenging materials. The TDS range is available with a 3XD, 5XD and 8XD length with diameters from 3 to 20mm in 0.1mm increments. The 140 degree point angle drills are supplied with an overall length from 62 to 234mm diameter and a flute length from 20mm to 181mm, depending upon the designation selected by the end user. We are absolutely delighted with the service we have received from Pulse-PR. We have received exceptional coverage in the trade press since Pulse-PR handled our marketing activities.